After a beautiful day in North Myrtle Beach, stunning ocean views along with warm, friendly service provide the perfect dining backdrop for 3500 Ocean Grill’s exquisitely crafted cuisine. 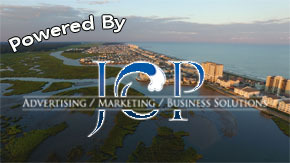 We would like to welcome Black Bear, Crown Park, Sea Trail & Blackmoor Golf Courses to the JCP Special Offers Coastal Carolina’s family. Welcome Fun Warehouse to the family!! 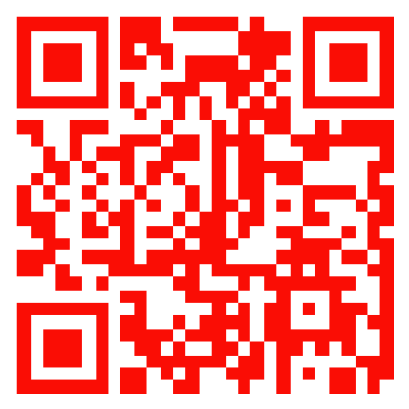 Our Red QR Code is your connection to savings both locally (SC,NC,NJ) and nationally. 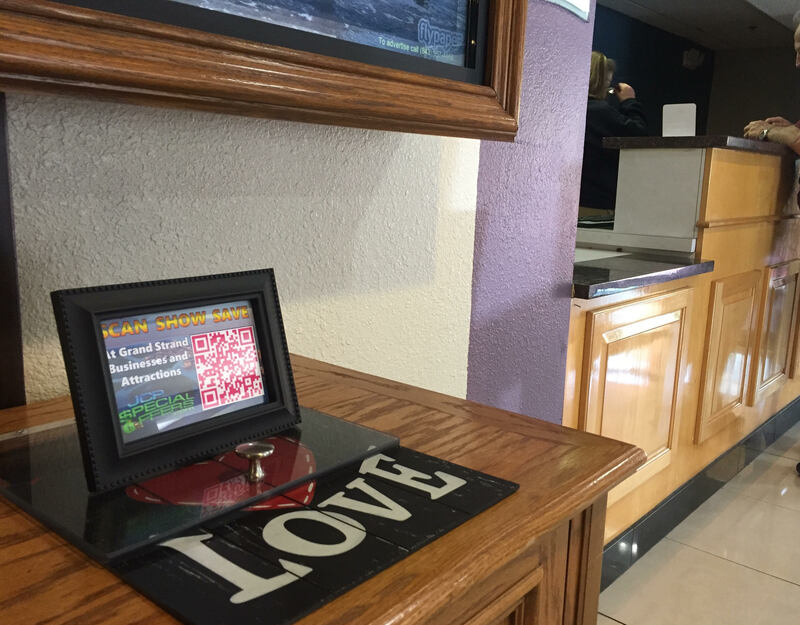 JCP Special Offers Red QR code is conveniently located on brochure racks and at the register of local businesses, we are also located on the check-in counters and in high volume areas at resorts and hotels (see small sample below).